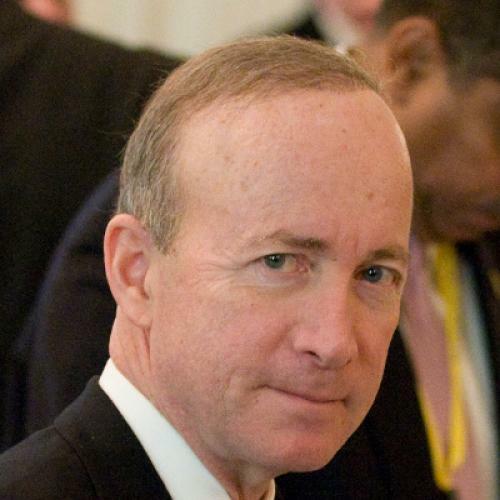 Conservatives don't know whether Mitch Daniels, the governor of Indiana, will run for president. But they know about the health care plan he introduced. And many of them are excited about it. The Healthy Indiana Plan, as it's known, is the Hoosier state's alternative to traditional Medicaid. It's also a viable alternative to the dreaded federal Affordable Care Act, if its boosters on the right are to be believed. Heaven knows conservatives need such a proposal. For all of their complaints about "ObamaCare," they haven't put forward an alternative that would provide nearly as much financial protection or reach nearly as many people. One reason for this failure is that Republicans in Washington don't have a lot of experience writing legislation designed to help Americans who can't afford medical coverage. Even when in power, the GOP has never made this issue a priority. But governors can't ignore health care access the way national politicians can. Spending on Medicaid, the joint federal-state program that insures poor people, wreaks havoc on their budgets, which lawmakers in most states must balance every year. And large numbers of uninsured residents wreak havoc with hospitals and municipalities, which must find some way to finance more charity care when those people show up at emergency rooms. That may be why Daniels moved aggressively to refashion the state's Medicaid program. And, sure enough, he did so in a way that conforms, in broad terms, to conservative dogma about how health insurance should work. One of the right's principles is that modern insurance is too generous. By providing excessive financial protection against illness, the argument goes, insurance desensitizes consumers to the cost of their care. Patients don't think twice about getting unnecessary treatments and they don't shop around for the best deals. The result is a weak market that fails to drive down prices in the way strong markets make clothing, televisions and other consumer goods more affordable over time. Conservatives would solve this problem by giving consumers "more skin in the game" -- that is, by making each person more responsible for his or her own medical expenses. In an ideal world, they suggest, more people would have policies that carry high deductibles, in which insurance only kicks in after medical bills reach a few thousand dollars. To supplement these plans, conservatives recommend that individuals save money in interest-earning, tax-sheltered "health savings accounts." They can withdraw funds, as necessary, to pay for routine medical care. Healthy Indiana has that structure. Beneficiaries get a private, managed-care insurance policy that covers expenses beyond $1,500 and a so-called Power Account, modeled on HSAs. When beneficiaries go to the emergency room, they have to pay between $3 and $25 per visit. Sure enough, early evidence suggests the program has reduced ER visits. The program is also open to childless adults and families with incomes up to 200 percent of poverty, which is something the federal government allows, but does not require, states to do. "It's been a godsend to a lot of families," says David Roos, executive director of Covering Kids and Families of Indiana. "There's no way to diminish the value of those services." In some respects, though, the program is not as conservative as its reputation suggests. For one thing, Healthy Indiana applies cost-sharing with discretion. The monthly contributions into the Power Accounts vary between 2 percent and 5 percent of income, with the poorer recipients paying a smaller share than the richer ones. And that's only for people who have incomes. About one-third of the program's beneficiaries pay nothing at all. The state also regulates the insurers that participate in Healthy Indiana, requiring that they cover preventative care free of charge. These are the sorts of features favored by liberals, most of whom agree there should be some "skin in the game" but worry about placing excessive burdens on the poor and chronically ill. Still, Healthy Indiana would not meet most liberals' expectations -- because it doesn't really qualify as adequate insurance. The program doesn't require coverage of vision, dental or even maternity care. It also has lifetime caps on benefits, the kind that the very sickest patients inevitably reach. "The track record of Healthy Indiana to date does not show that it is a truly affordable, accessible program for all uninsured adults in Indiana," says Roos, noting that even token financial contributions can be a real hardship. To be fair, state lawmakers have recently proposed to bolster Healthy Indiana's coverage. But, according to the estimates they commissioned from Milliman, Inc., an international actuarial and consulting firm, doing so would cost more money. That's the underlying reality of Healthy Indiana that conservatives either don't acknowledge or don't realize: For what it offers, it's expensive. Partly that's because it pays providers better than Medicaid, which is a good thing; and partly that's because it's not attracting enough healthy people into the program, which is not such a good thing. At the same time, Healthy Indiana doesn't seem to be providing better management of chronic disease, which is what the low-income population really needs. Daniels, to his credit, has dealt with the program's higher costs by securing a new tobacco tax to supplement the program's funds. A Republican who tried something like that on a national scale would probably find support on the left. But what about on the right? Are there conservatives, and Republicans, who want to raise taxes so they can bolster insurance for the poor? If Daniels and his health plan continue to generate political discussion, I guess we'll find out.